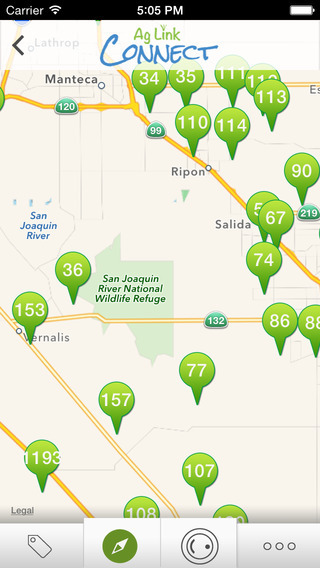 A company in California is using technology to engage people in local agriculture and support the local farming economy. 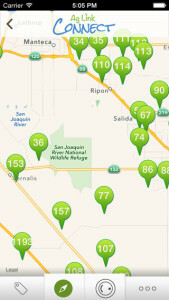 Ag Link, based in the San Joaquin Valley, has created a website and smartphone app, Ag Link Connect, for consumers looking for local food and farms, as well as fun local activities and agriculture related events. By partnering with other agencies, Ag Link hopes to create a statewide network that will increase the reach of local agriculture organizations. Ag Link Connect was created by Rob and Jana Nairn, native Californians who grew up on farms and have degrees in agricultural marketing. Their business started as an e-commerce platform to connect schools to local farms in support of farm-to-school programs in California. A visitor to the Ag Link Connect website will find a “merchant” page with 13 different categories, such as farmers markets and food stands, “agri-tainment” sites, and fun local activities. The website currently lists 210 events, including a kite flying, a rare plant walk hosted by the Sequoia Riverlands Trust, a curing workshop in South Oakland, multiple St. Patrick’s Day festivals, and several beer and wine tastings. The site generates revenue through advertising. As Jana explains, including local activities gets people engaged in local economies and draws people to the site and the app. Ag Link’s inclusion of fun local activities is also a response to local farmers’ efforts to increase their revenue stream by adding “agri-tainment” features and events to their offerings, such as a corn maze, pumpkin patch or outdoor restaurant. By including local agri-tainment offerings, Ag Link aims to get the public excited about local agriculture. Ag Link is currently partnering with two local agriculture advocacy agencies, Stanislaus Grown of Stanislaus County, and Country Ventures of Merced County. Both organizations are in the process of building networks in their communities, and have their own publications. As Jana explains, partnering with Ag Link Connects allows both Stanislaus Grown’s and Country Ventures’s publications to be continually updated. Ultimately, Ag Link’s goal is to provide a platform for local agriculture organizations across the state of California.